All the tools you need to set up your system and listening area. Featuring the voice of RR's Technical Director, "Prof." Keith O. Johnson! The successor to the best-selling Sheffield/XLO Disc (no longer in print), this is the step-by-step guide to setting up and calibrating your audio system. Roger Skoff of XLO (innovator in the field of speaker cables and audio interconnects) and "Prof." Keith O. Johnson of Reference Recordings (audio guru, equipment designer and co-inventor of HDCD) lead you through a quick and easy system setup. 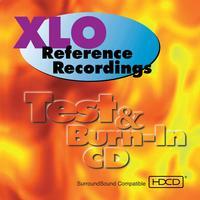 Just playing this disc will improve the sound of your stereo or home theater system. Plus six tracks of magnificent music from the Reference Recordings catalog guaranteed to turn your customers on to this remarkable label.